" No doubt, this seaside Barangay got its name from the rotund structure that served as a lookout point to incoming marauders during the 17th century. Torre is the name of the Barangay"
After visiting the watchtower of Gabut Norte, Badoc, Ilocos Norte, from the National Highway where the welcome arch of Barangay Gabut Norte is located, i rode a mini-bus (10:29 am) going to the next town which is Currimao. Since the Town center of Currimao is also located away from the main National Highway, from the mini-bus, i went down ( 10:39 am) at a junction near a public market and rode a tricycle going to the Town Center. At downtown Currimao, i walked my way to the seaside where the ruins of the old Tabacalera building is located. Going farther to the seawall, i saw fishermen working on their boats and nets. The watchtower can be seen faraway at the Eastern shores. I started walking (11:24 am) at a coastal road towards east and continued walking on a rough road leading to the Watchtower. The sun was shining almost straight above that it was scourging hot. I arrived at the watchtower and did some sketching and took some photos and videos. At 1:46 pm, i departed from the area and walked my way towards the road where i got a tricycle ride and arrived at the National Highway at 2:05 pm. It was there where i waited for a bus going to my next destination which is the Bacarra Watchtower. 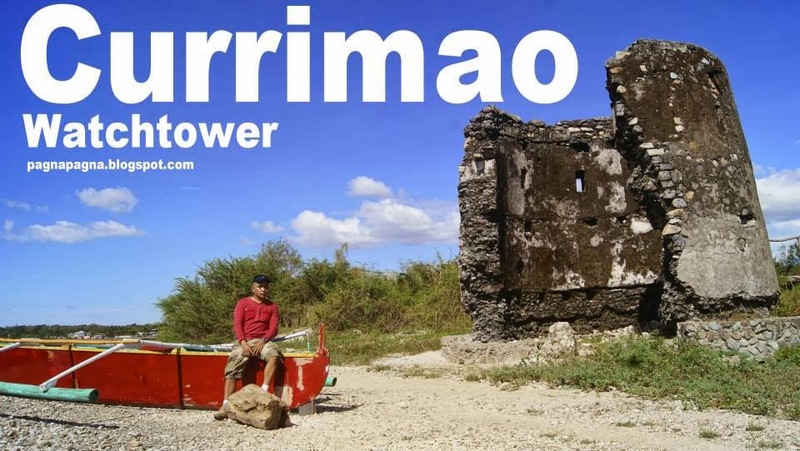 Located in the barangay of Torre, Currimao, Ilocos Norte, this watchtower is made up mainly of corals and other kinds of stones that were found in the area. Only around 60 percent of its walls are still standing. From Manila, take a bus ride going to Laoag City. towards the east where the Watchtower stands.